The cyber-security firm Symantec has demonstrated that an attacker with a Raspberry Pi and other hardware (at a total cost of just UK£ 40 or US$ 75) can hack into the wearable gadgets of passersby! 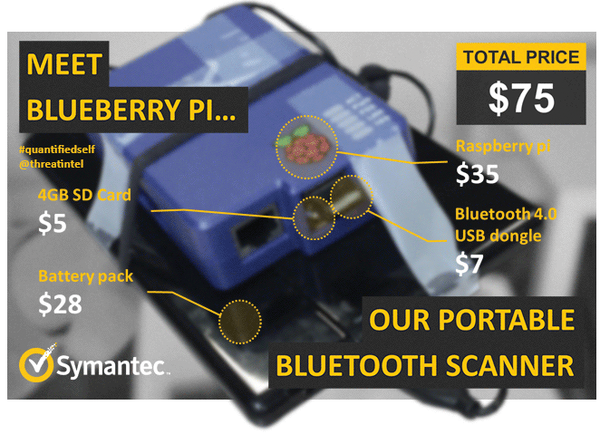 According to an article found at the Symantec website , the only necessary tools are a Raspberry Pi with a Bluetooth radio module hooked up to it and a battery pack for portability. The Bluetooth connectivity was not used to actually connect to the devices. Instead, it was used just to monitor the airwaves, locate any wearables, and sniff out the data that was exchanged between the gadgets and smartphones or other nearby devices. Symantec conducted this research in large open areas, such as parks, and large gatherings, such as sporting and other events. Wearable gadgets are becoming more and more popular, but wearable technology is still a relatively new field. It seems that Symantec has done this research in an effort to highlight the lack of security and data protection exhibited by these devices when they communicate with the smartphones to which they are attached. Symantec described the process of hacking into a wearable device as "trivial" to anyone with a bit of computer and electronics knowledge. According to the study, 20 percent of smartphone apps that went alongside these wearable gadgets were extremely insecure as well. Most of the apps are connected to cloud-based servers, which collate all the data and provide user portals to display and save personal metrics. This disturbingly high percentage of the tested smartphone apps sent personal info (including date of birth, relationship status, and, in some cases, login information) in plain text to a cloud-based server with no encryption whatsoever. The article concludes with a number of useful recommendations that will come as no surprise for experienced users, for instance: Don't give away personal information without the knowledge of the security environment, and use strong and unique passwords. 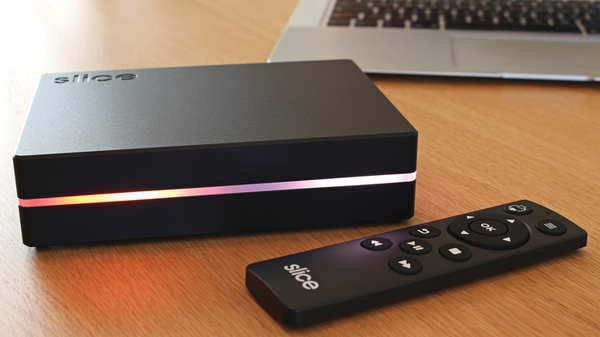 Slice is a media player with a Raspberry Pi at its heart! The Slice player is another exciting product to make use of the Raspberry Pi Compute Module that was announced earlier this year and featured in Issue 5 of Raspberry Pi Geek. At the time of writing, Slice has already far exceeded its funding target on Kickstarter and has unlocked the first three of its stretch goals with just under a month to go. The Slice media player runs XBMC by standard, but because it is built around a Raspberry Pi Compute Module, you can also customize it to your liking and run any of the other operating systems currently available for the Raspberry Pi. The whole project is built on open technologies, and the creators of Slice (FiveNinjas) say they will be releasing the new drivers they have created to the community. Delve a little deeper into the information, and you will find that the FiveNinjas director of hardware engineering and the director of software engineering both are affiliated with the Raspberry Pi Foundation. The standard Slice package, including a 1TB hard drive, is available for UK£ 169 (~US$ 280). All the necessary information, including a link to their Kickstarter project, is available from the FiveNinjas website .